Yackandandah is Jiatmathang country. The Aboriginal word for the Yackandandah area is Dhudhuroa. To the Dhudhuroa people Yackandandah means “one boulder on top of another at the junction of two creeks”. This relates to the intersection of the Yackandandah and Commissioners Creeks where granite boulders can still be found. European settlement followed the trails of Hume and Hovel from 1824. James Osborne settled in Osborne’s Flat in 1844, and there followed a succession of squatters in the area, who established or took over pastoral runs. The discovery of gold late in 1852 began the rush of alluvial miners. They were a multinational mixture, who lived in small communities along the Yackandandah Creek – from Staghorn, Allan’s, Osborne’s and Rowdy Flats, along through present Yackandandah up to the Junction and through to Hillsborough. Schools, churches, medical facilities, hotels and shops were set up by early arrivals to service the miners and the families on many of the mining sites. The resultant small communities were busy, if not permanent. Many of them persisted well into the 20th century. Yackandandah, however, became the main focus. A survey of the town was made in 1856 and land sales there began in early 1857. Substantial buildings were erected, serving the variety of needs. Businessmen of the time held title to many of these sites. The first school was established by the Church or England, on the present school site and was taken over by the State in 1864. Already a pupil at the school, the young Isaac Isaacs, who became the first Australian born Governor General, was the very first name on the new common school roll. His father was a tailor, and they lived in Yackandandah for a time, having moved from Melbourne where young Isaac had been born. Colonial establishments soon took the form of education, the Roads Board (1862) and Postal Services. In 1961 the telegraph arrived, in the early 1890’s the railway and the local newspaper. Reef mining began in about 1860. By the mid-1860’s easily won alluvial gold became scarcer and many small miners were forced out - some onto the land or to the services. Large scale mining with barges and dredges from the 1890’s again transformed the landscape and the mining process. This largely cushioned the district from the effect of the economic depression of the time, although the town lost the Bank of Victoria in 1893. The Roads Board of 1862 became the Shire of Yackandandah in 1864, and that shire one of the largest in Victoria, serviced the district until amalgamation of local shires into the Shire of Indigo in 1994. The stone bridge, just as you enter the main street, was the last bridge to be built on the then proposed main route between Sydney and Melbourne. Considering the Beechworth hills ahead, the route was changed to the flatter country to the west. Yackandandah township flourished and declined as the times dictated. The effect of the economic depression of the 1930’s, and the wars were felt as it was across Australia. The memorial gardens reflect the participation of the community in various global conflicts. 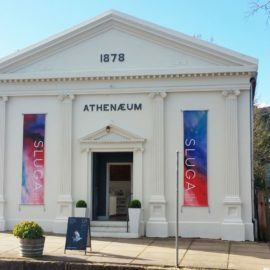 Buildings such as the Public Hall, the churches, the Athenaeum, the Courthouse, demonstrate a history of community working, growing and playing together. This culture continues. A developing community of commuting residents is contributing a new vigor and a different variety of activities available in the town. While established community still exists, it is working within the newer structures to continue the value of that established by our pioneers. Careful planning and development regulations are maintaining the historic nature of the face of Yackandandah, while enabling the growth of the town. Yackandandah’s unique street-scape of timber, stone and brick, its verandas and trees nestled in the valley, remain a jewel of the North East. 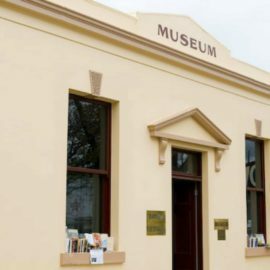 Local history – objects, information, and photographs can be seen in the town’s Bank of Victoria Museum, owned and operated by the Yackandandah and District Historical Society. This museum, in the center of the main street, is housed in two of the town’s oldest buildings, the Bank of Victoria (1860) and the Manager’s residence (c 1858). The museum is open Wednesday to Sunday afternoons from 11am until 4pm during Victorian school terms, and open daily on Victorian school holidays from 11am until 4pm and public holidays. The museum can also be opened by appointment. A research service is also available through them, as are publications about Yackandandah. 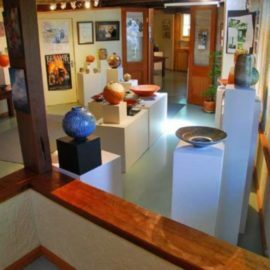 You will find the Museum at 21 High St.